I will never sacrifice reality for elegance without explaining why I have done so. You can find the rest here. 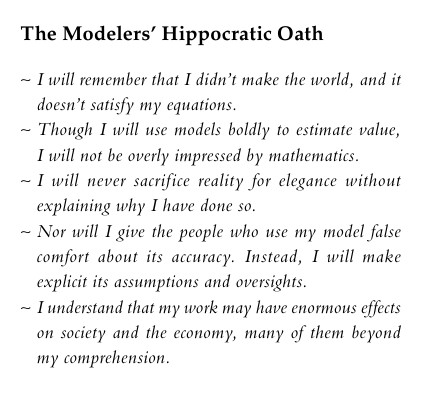 Replace "models" with "theories" or "assumptions" or "ideas" and you can generalize much of the wisdom contained within.